You've found it! 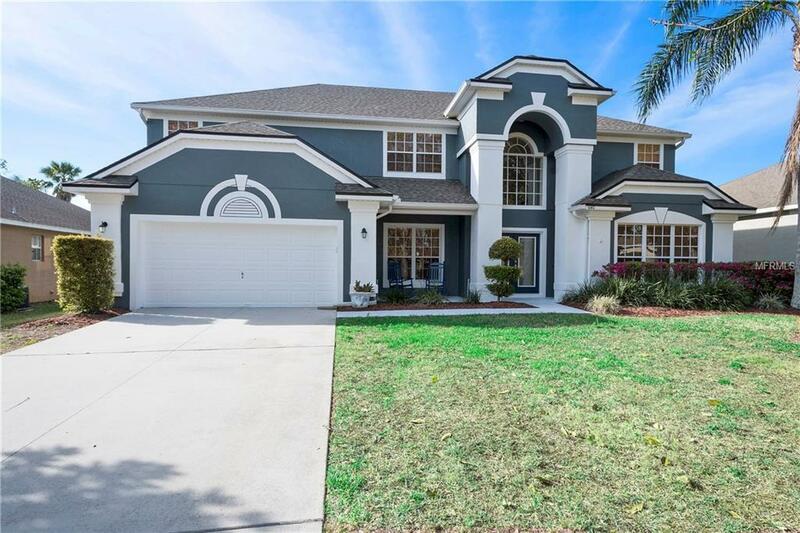 Immaculate, move-in ready pool home in desirable John's Landing! Bring your boat! **BRAND NEW ROOF & Freshly Painted - 2/2018, NEW A/C (Air Handler and Compressor) 4/18. ** The pride of ownership of the original owner really shows! This fantastic home features a beautiful pool with a massive screened and covered patio with outdoor kitchen and heated spa, perfect for entertaining and enjoying the phenomenal Florida weather. As you enter the home, you are met with a wonderful, relaxing library on your right, and a lovely, separate dining room to your left, and will immediately sense the open feel that the floor plan provides. The spacious, open kitchen features 42 solid wood cabinetry, solid-surface countertops, island, built-in desk & separate eating area. The Owner's Retreat is on the main level of the home, and features a large walk-in closet, dual vanities & garden tub w/ separate walk-in shower. Upstairs you will find 4 large bedrooms with ample closet space, connected by a large loft/flex space (open to below) and 2 full bathrooms. John's Landing is a desirable, gated community in Oakland, FL. Fantastic location, just minutes from the West Orange Trail and thriving downtown Winter Garden Plant Street district w/ its many shopping, dining and cultural options, as well as nearby Winter Garden Village at Fowler Groves. Easy access to all major area roadways and attractions. Community amenities include a private boat launch to beautiful John's Lake, tennis courts & playground.